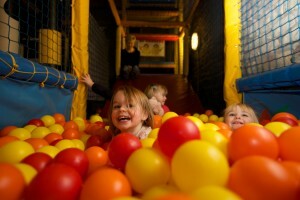 Great to Go is our very special feature where we test out some of the fantastic family friendly venues our area has to offer. We are so busy, and our family time is really precious. Here’s a little inspiration to make a little more quality time with our loved ones and take advantage of the many local treasures our area has to offer. This month we found that it is Great to Go to Old Holly Farm near Garstang. Sophia, Ruby and Anna put the working farm and play barn through its paces. Meeting the chicks and calves and tearing up the tunnels and down the slides of the soft play space (My camera and I had our work cut out keeping up with them too!). 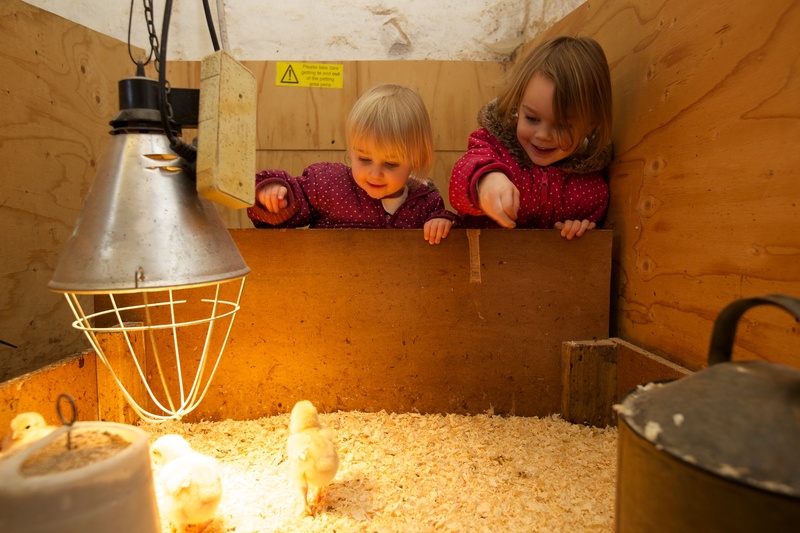 Old Holly is a family run, organic dairy farm that have opened their doors to children and families, giving little ones the opportunity to see, touch, taste and smell a working farm. Accompanying the farm is the courtyard café serving everything from homemade cake to a traditional cooked lunch, and the fun filled soft play Playbarn. We found the farm had plenty to offer all ages. For little ones like Sophia, it was a real sensory experience, both in the play barn and out meeting the animals. 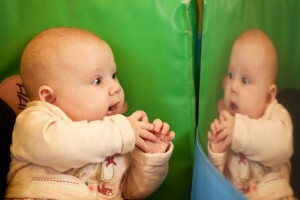 The chicks were an instant hit for the giggling Sophia, and the mirror and ball pool in the soft play fascinated her. Ruby and Anna also had a wonderful time! Starting their visit with toast and a drink in the cafe they made sure they had plenty of energy for what was to come. We said hello to all the animals and gave them a little feed. Then headed in to the play barn where they really put me through my paces- trying to keep up with speeding toddlers and photograph them in a soft play tunnel is easier said than done! The girls had an absolute ball and were doubly amused, by our game of photographic chase. Out of puff, but with enough portraits to prove they’d had a great time, I left the girls to it. And found out later, they were there most of the afternoon! Old Holly Farm also hosts a parent and toddler session in their play barn every Monday from 9am to 11.30am, it’s just £3.50 and entry includes juice, a biscuit and a hot drink for Mum or Dad. Thanks for reading my latest post in Birdie Blog. I’m a maternity, newborn, baby and family photography specialist. I run a gorgeous portrait studio in Lancaster, Lancashire and I’m really passionate about family and celebrating the wonderful relationships and bonds we share. If you like the idea of chicks we have a fantastic special planned for this Easter!